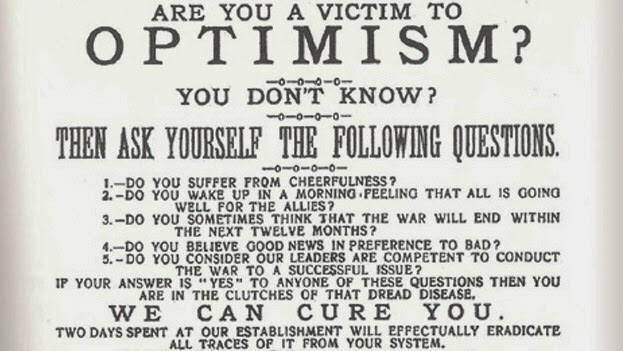 Are You a Victim of Optimism? Harry Drinkwater's diary is a testament to one man's attempt to maintain his humanity throughout the war, both in battle and while waiting patiently in the trenches. Covering the full period of the war, Drinkwater's diary provides rare insights into conditions at the front, the conduct of major battles, and the hopes and fears of the ordinary soldier. As the war progressed, Drinkwater's tone developed and became stronger and more passionate. As Jon Cooksey (ed.) writes in his introduction, the diaries contain "vivid personal descriptions of the brutal vagaries of war written in real time on the battlefields, charting, with a fresh candour and honesty, the mixed fortunes which befell Harry and the men with whom he lived and served." Drinkwater's diary entries transport one to the very heart of the action, recording details of mud, cold, fear, smells, and the scent of spilled blood. 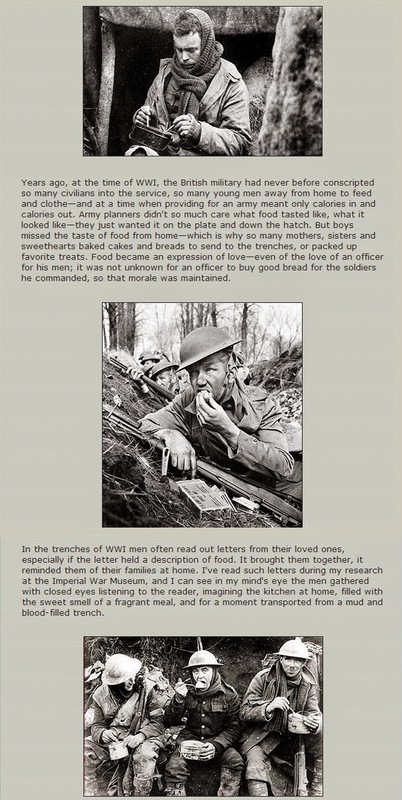 They also describe the transformation of a private soldier to a commissioned officer, showing how Harry moved from being a private soldier taking orders to an officer giving orders, yet he reveals time and time again that he has not forgotten what it was like to be on the receiving end of orders. 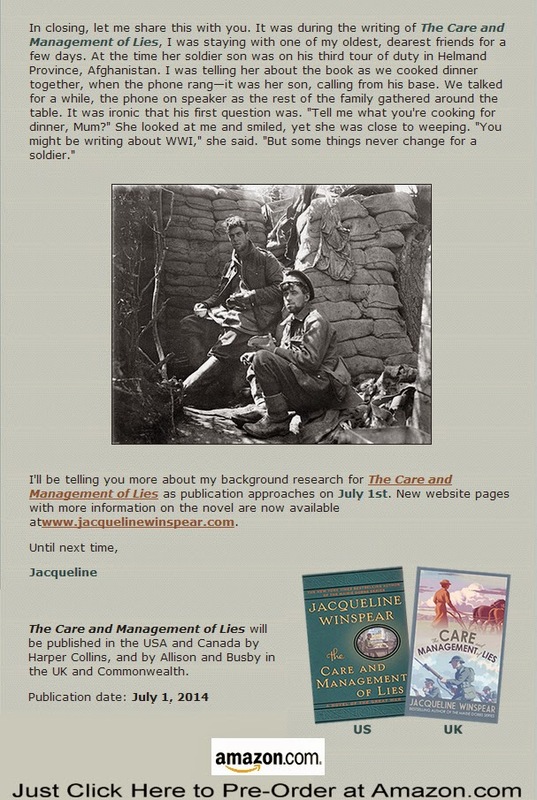 Harry's War is a series of scenes which, unlike many World War One diaries, does not end abruptly with the writer's death. In contrast to many survivors of the war, Drinkwater did not bury his feelings and refuse to talk about his experiences; instead, he revised his diary and recorded his feelings in detail. Cooksey argues that Drinkwater's diary is "one of the most potent of all those that have yet emerged from the First World War. It will carry far into the next 100 years." As the reader progresses through Harry's War, the truth of this assertion becomes increasingly convincing. My position was secure as long as I lay in the bottom of the shell-hole but I was exposed to fire on my right. To attempt to go forward under the circumstances would have been absurd. I was carrying part of the Lewis gun and had no idea where the team was. To make for our line was risky; I had been watching some of our fellows try to do so and they were lying about over the ground, shot through the back, so I lay down beside the German. I found myself covered in maggots, and as best as I was able I covered him with dirt but I could not keep the smell down. So I lit my pipe and blew the smoke into my haversack. 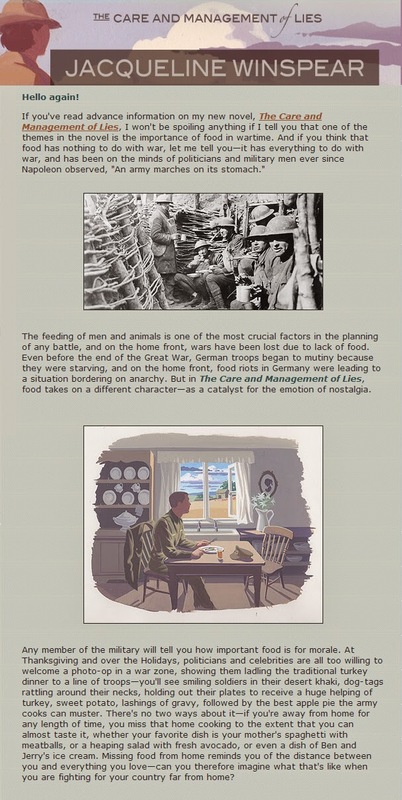 Edited by a leading military historian (Jon Cooksey) and by an author, former soldier, and collector of militaria (David Griffiths, who is also the owner of Drinkwater's diary), Harry's War: The Great War Diary of Harry Drinkwater is a unique account that tells a personal story that has been "silent" for a hundred years. Interspersed with black and white photographs, it brings the horrors as well as the rare pleasures of war to life in intricate detail. It also tells the story of an extraordinary man who should , in fact, never have enlisted (he was half an inch too short) but who was ultimately to be awarded the Military Cross. Dubbed by Roderick Suddaby, former keeper of the Department of Documents at the Imperial War Museum as "one of the best diaries of the First World War," Drinkwater's diary is to be published fittingly on the eve of the centenary of the outbreak of World War One. "Harry's war" is a war shared by many, but few have been able to describe it in such detail, with such sincerity and over the entire length of the war. 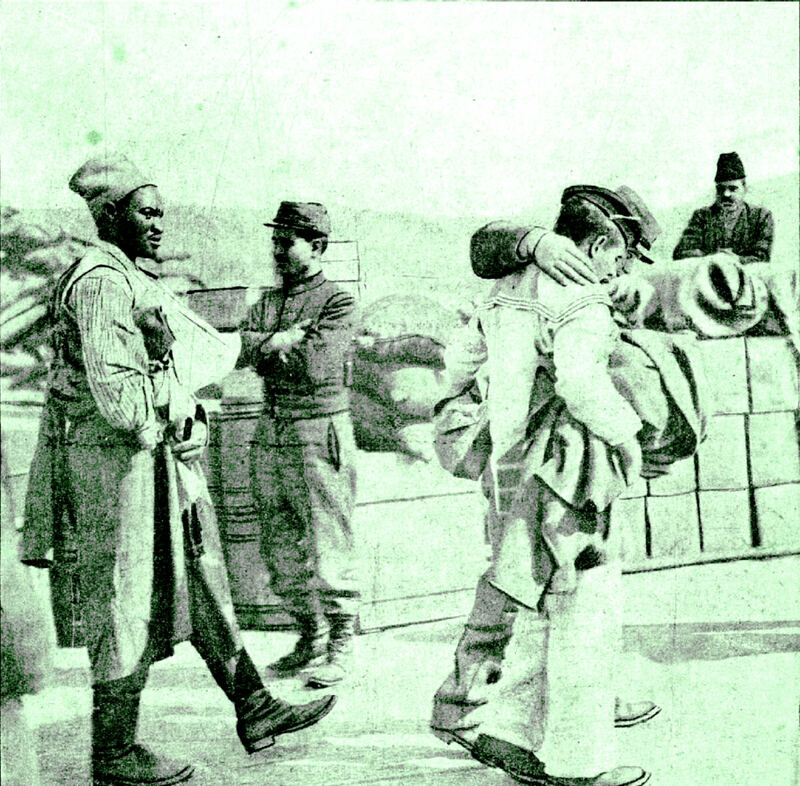 Anglo-Indian forces surrendered at Kut in modern-day Iraq on 29 April 1916, bringing to an end a calamitous campaign to take Baghdad. 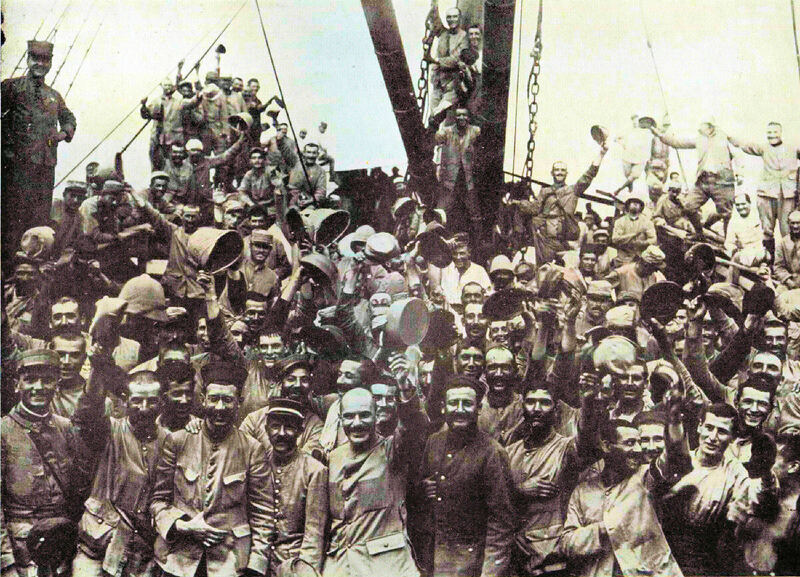 British forces landed in Basra in 1914 as a military demonstration. Protecting British commerce, securing Persian Gulf oil, and projecting British influence were the original goals of this demonstration, but the situation changed drastically in the coming months (Church, 2005). In April 1915, Sir John Nixon took command of British forces in Iraq and received orders to draw up plans for an advance on Baghdad. Nixon interpreted this as an order to advance on Baghdad and ordered forces under Major General Townshend to advance. 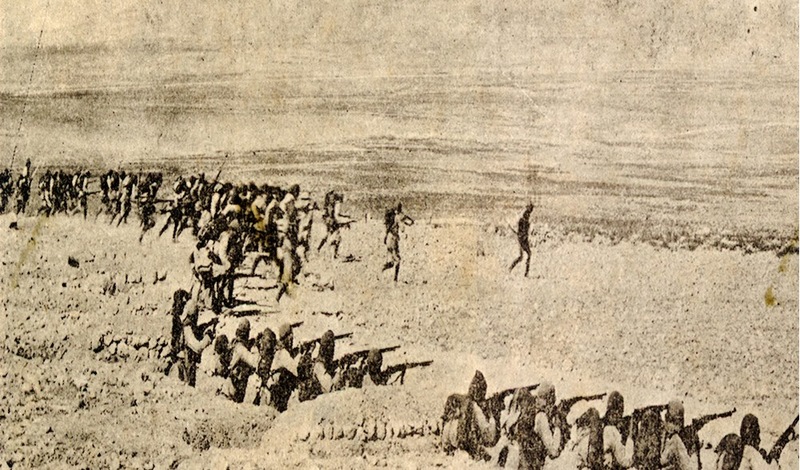 Anglo-Indian forces seized Amara, Nasiriya, and Kut by 29 September 1915. With Persian Gulf oil supplies secure and a foothold in Mesopotamia established, the opportunity to capture Baghdad still loomed large. Mesopotamia was the third focus of British Middle Eastern Operations behind the Suez Canal and Gallipoli. With stalemates at the latter two, it is presumable that British leaders were searching for a morale-boosting victory in the region. The Home Government, Indian Government, and military authorities wrangled over whether or not Baghdad should be taken, and ultimately Austen Chamberlain, Secretary of State for India, approved an advance on Baghdad. Officials decided Baghdad could be taken if it could be held, and this decision doomed British forces in Mesopotamia. Upon receiving approval, Nixon ordered Townshend's forces to advance on Baghdad. British military intelligence believed the nearest Ottoman forces to be between 350 and 400 miles away. The Ottomans managed to pull together enough reinforcements to send troops to confront the British advance. British forces met the Ottoman advance guard at Ctesiphon in November of 1915. 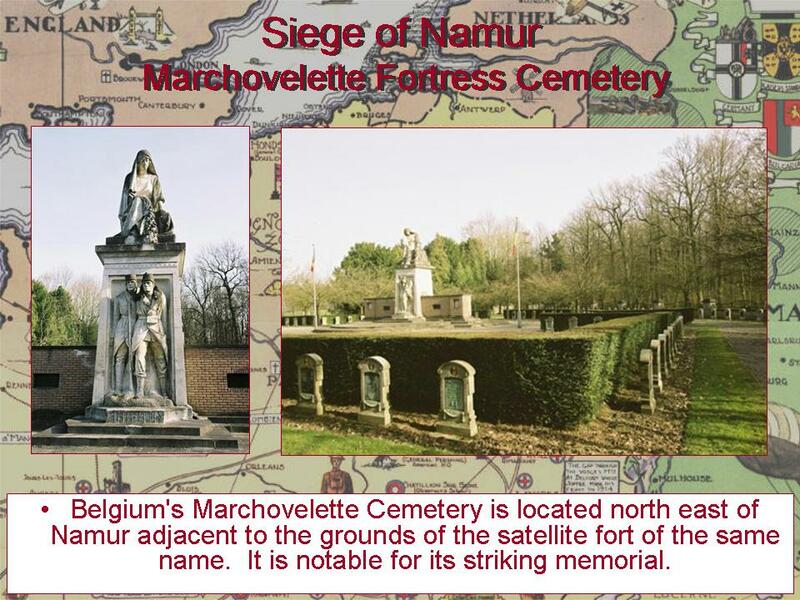 The resulting battle inflicted enough damage upon British forces to convince Townshend to order a retreat. Townshend believed his forces to be overextended and ordered a retreat to Kut, where they entrenched themselves near the Tigris River to await reinforcements. 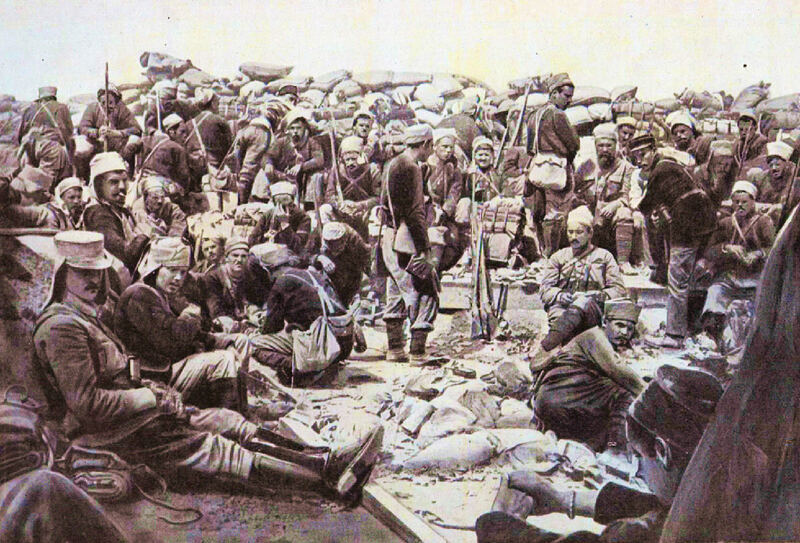 British forces had two months of supplies but were confronted by Ottoman forces that were masters of siege warfare. Ottoman forces encircled the British positions with earthworks and laid siege to Townshend's forces. Between January and March 1916, four attempts to break Ottoman lines by Townshend's forces and a relief force were repelled. The last attempt known as the battle of the Dujaila Redoubt left a thousands combatants dead. After this setback, annual floods stemming from melted snow from Zagros Mountains swelled the rivers, The resulting floods cut Kut off completely from reinforcements. Surrounded by floodwaters and Ottoman forces, Townshend's forces surrendered. 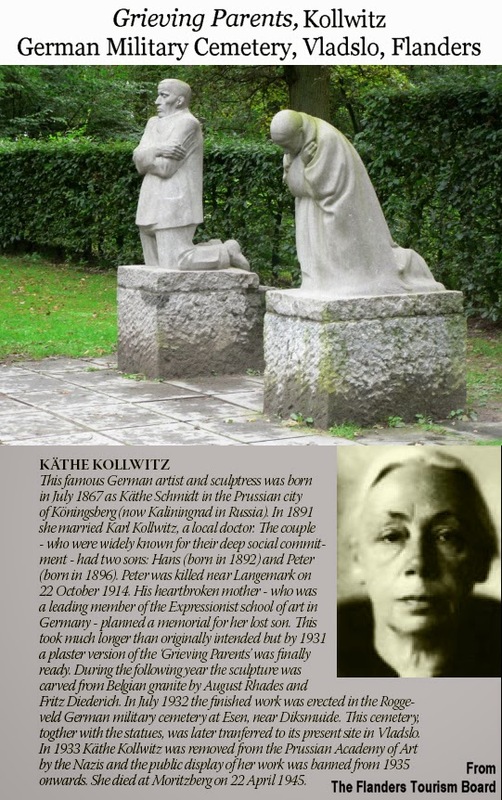 Townshend and 10,000 survivors went into captivity. Captivity was harsh, and 4,000 soldiers died in enemy hands. Kut was retaken in late 1916 when a British force of 200,000 overran 10,000 Ottomans. Historian Briton Cooper Busch summarized the campaign by stating "a demonstration had become an invasion, a successful advance had become a humiliating setback." 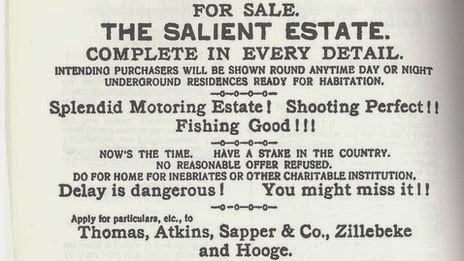 Like Salonika, a British campaign against a seemingly inferior force resulted in a stalemate and drained resources. Worse yet, the British forces were humiliated and humbled by an enemy that was supposed to be no closer than 350 miles. British prisoners endured brutal treatment in captivity and only 6,000 of 10,000 survived. All of this was due to indecision over whether or not to take Baghdad and the lack of satisfaction with the initial objectives. The capture of Baghdad would do nothing to turn the tide in the Middle East — that would happen in Palestine and Greater Syria. Baghdad served only to bring about significant loss. 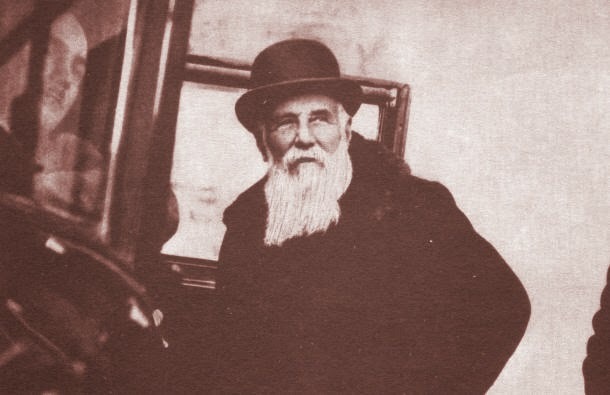 The French daily, Excelsior, created in 1910, was the first French periodical devoted to photography. 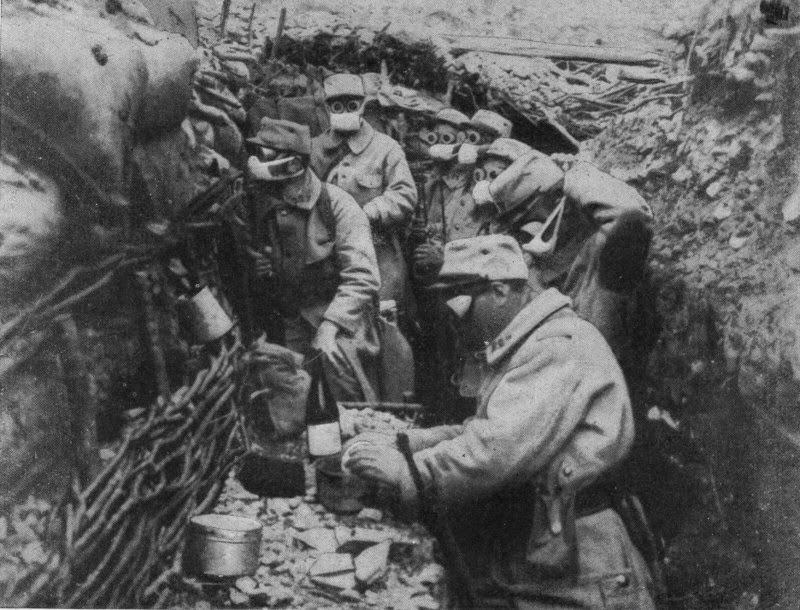 Between 1914 and 1918, Pierre Lafite, its founder, sent reporters to photograph France at war. 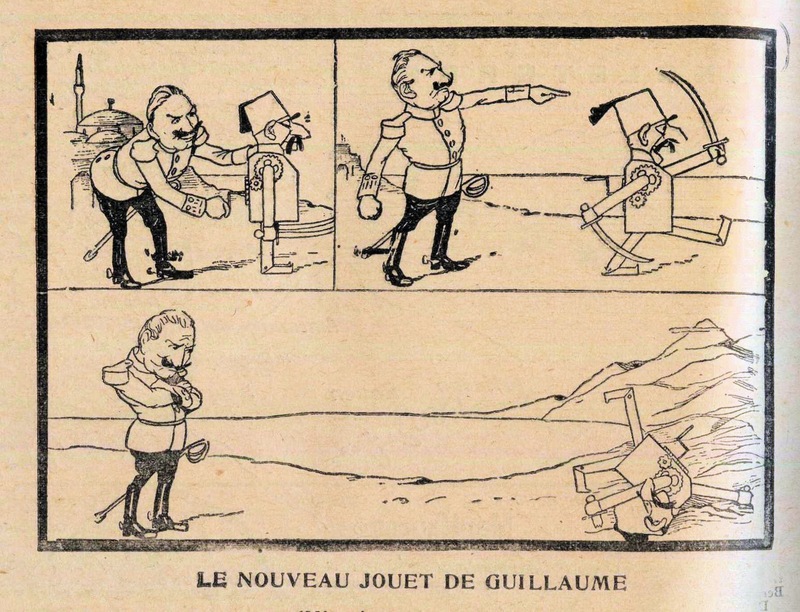 Issues included cartoons mostly directed against the enemy. Here are four especially vicious examples from the collection of Tony Langley. The editors drew on Punch and Russian sources. 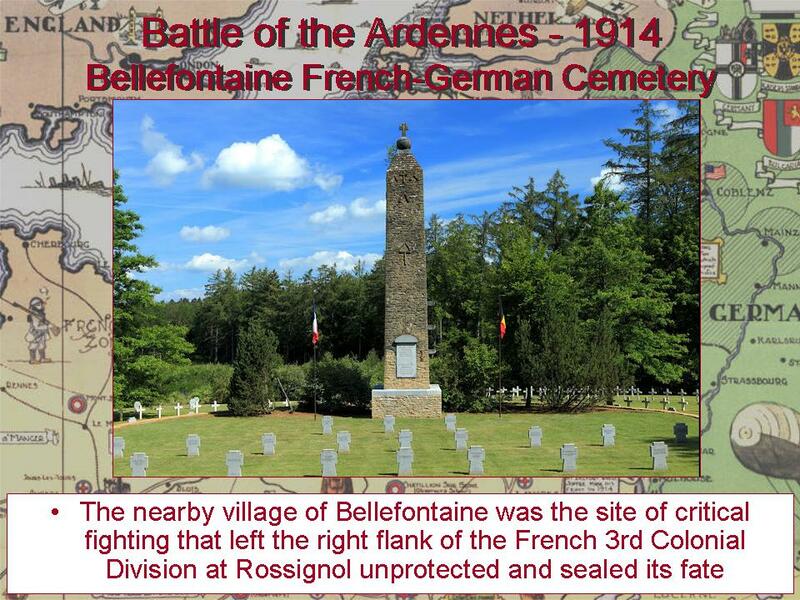 The operations in Belgium's Ardennes Forest in 1914 culminated the disastrous opening of the war for France. 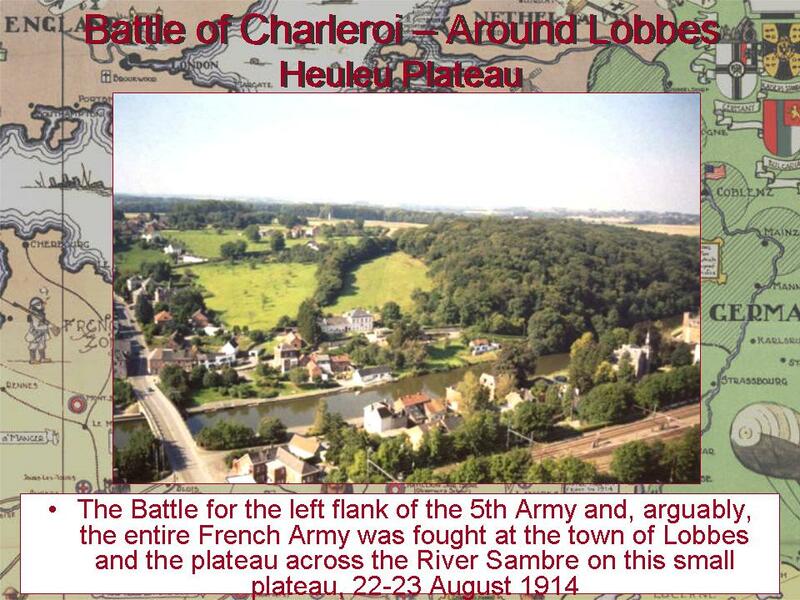 The defeated forces of General Joffre, whose Plan XVII was an utter failure, would begin their march to the Marne. Next Week: We will be taking a break from our Virtual Tour. Look for a report from our first Centennial Battlefield Tour, which I'll be leading, to the 1914 opening battlefields we have been covering in our recent postings to the Western Front Virtual Tour. 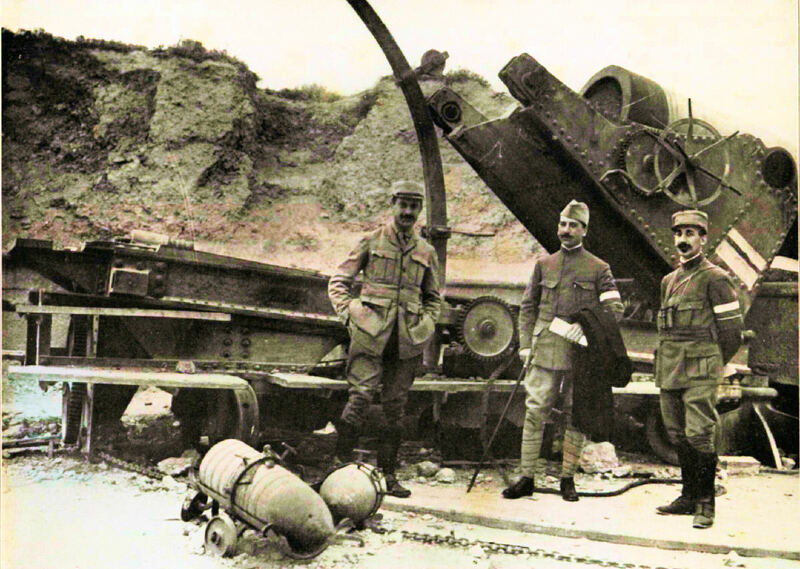 It is often forgotten that the French made a major contribution at Gallipoli. 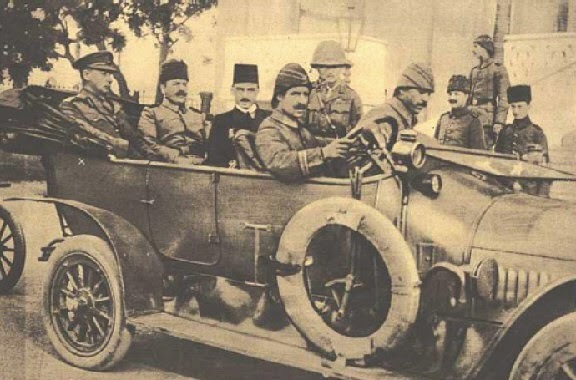 On the first day of the landings their forces sent to capture Kumkale on the Asian side were the only troops to accomplish their objective on 25 April 1915. When moved across the straits they held down a good part of the Allied right flank at Helles (approximately one-fourth of the Helles line) through the fall of 1915. They were, however, considered something of a weak link until placed under the command of General Henri Gouraud, a future "Western Front star," who arrived in May. 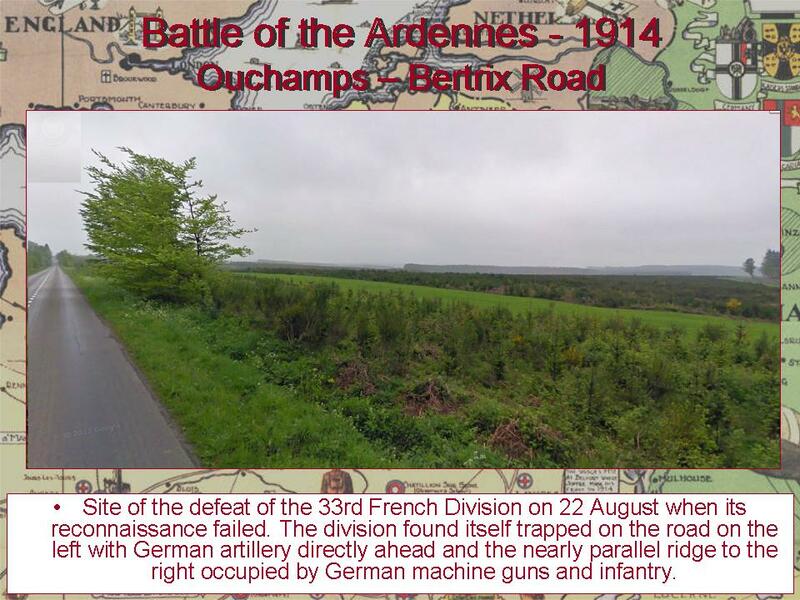 It was Gouraud who organized the limited, but impressive, advance by French units on 21 June. 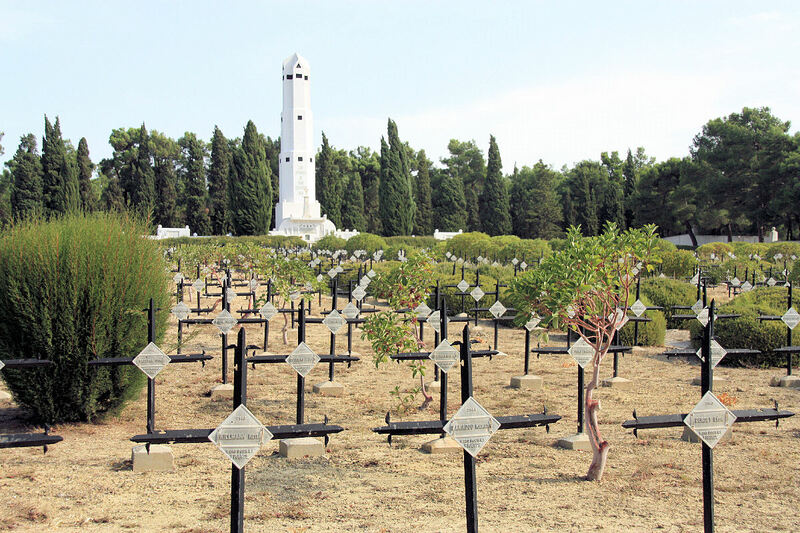 The sacrifice of the 42,000 metropolitan and colonial French soldiers who served at Gallipoli is honored at a cemetery and memorial above S Beach where there are over 2,000 graves and four ossuaries, each with the skeletal remains of 3,000 men. 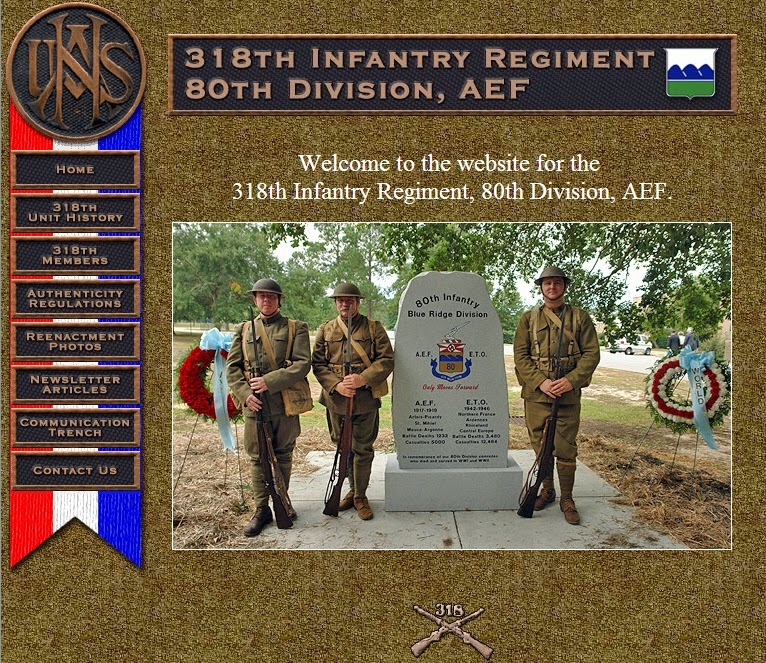 As part of my plans to retool the Doughboy Center for the Centennial, I am adding a full roster of the all the Doughboy reeanctors I can locate, so people learn about them and contact them for Centennial events. If you would like your group included, whether Army, Marines, Navy, or Air Service, just email me with your contact information: greatwar@earthlink.net. 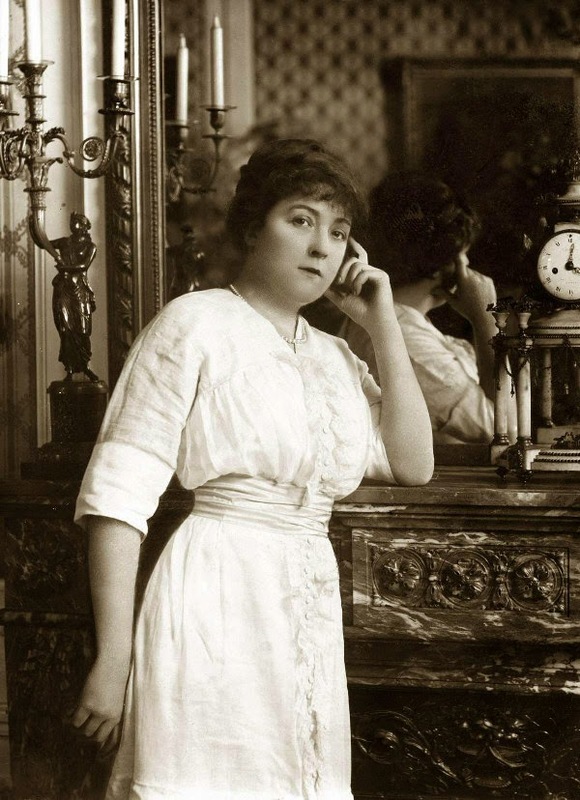 Despite the title, July 1914 begins on June 28 with the assassination of the Archduke and his wife. In addition to the horrendous tragedy familiar to us is the fact that nobody liked the Archduke. He was the heir to the Austro-Hungarian throne but had married for love far beneath his station, resulting in the ostracism of his wife and general disparagement of himself. For such a horrendous and far-reaching war to be based on his murder is incomprehensible — almost. His murder brought nationalistic hatred to the surface and provided the desired excuse for one nation, Austria, to wreak havoc on another, Serbia. 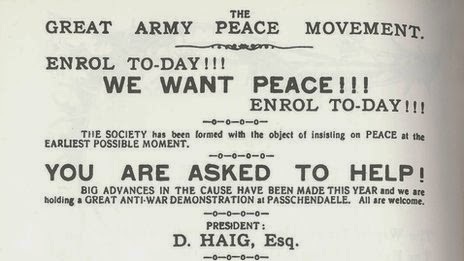 What followed the assassination was a convoluted interplay between the great and not-so-great powers of Europe, some seeking peace and others an opportunity to pursue their own goals. Diplomatic dispatches were worded in such a way to communicate the truth but not the whole truth, actions were taken covertly to gain an advantage over other nations, intelligence reports were incomplete, leaving recipients unaware of the seriousness of the situation, and national intentions were misunderstood. A poorly thought-out conversation between the Kaiser and Austria's ambassador gave Austria free rein to do as they pleased, and an unacceptable ultimatum was the result. The communication of Austria's ultimatum to Serbia was timed so that France's president and Russia's tsar, an ally of the Slavs in Serbia, would not know about it during their conference. Poincaré would not learn until later because wireless communications with his ship returning from Russia were poor. Later, Russia mobilized, and England, due to poor intelligence, was deceived by misleading Russian statements. This combination of incompetence, deception, and nationalism combined to create the unstoppable avalanche. Even within the major powers, communication was less than forthright. Churchill ordered the fleet north to Scapa Flow without lights or bothering to inform Foreign Minister Grey. Russia began mobilizing without informing the Tsar. Chancellor Bethmann did not keep the Kaiser informed, playing on Wilhelm's limited attention span and frequent mood changes. Grey would speak to Parliament for ninety minutes and yet left out such details as why France should be supported, what Belgium's rejection of Germany's ultimatum meant, and just what England would do about the situation. Grey uttered many words but did not communicate with Parliament or Germany that England was willing to fight. Nations distracted by internal problems; behind-the-scenes maneuvering; information withheld or distorted or incompletely presented; leaders who did not comprehend or were ignored; and other irresponsible acts all contributed to the collision. Yes, the troops came home before Christmas — of 1918 — those who survived. So who really started the war? The author absolves Germany of some but not all war guilt and assigns more responsibility to Russia and Austria than previous historians but draws no absolute conclusions. While he has unearthed, deciphered, and revealed more information than previously available, too many documents from various countries have been destroyed or remain unavailable to reach a rock-solid conclusion. Yet, as I read the book, I saw no innocent parties. The amount of guilt varied but all were stained either by omission or commission. What McMeekin has not indicted is the war jubilation of the good citizens of several nations, particularly England, France, and Russia. Perhaps if those good citizens had understood who or how many would die horribly, their leaders might have been less anxious to jump off the deep end. Mentally tracking the moves and countermoves in this book is a serious challenge. Readers would have been better served if the author had provided a graphic time line of events, including a presentation of diplomatic conclusions and of who became aware and when. Nevertheless, we can read July 1914 for some new information, for the serious challenge of keeping all the events and actors mentally organized, and for an understanding of how communications and travel were so much different and played a significant background role before the world turned inside out. How were German forces able to penetrate the Allied lines so deeply during the early Ludendorff Offensives of 1918? The German infiltration tactics of 1918 can be summarized under four headings: innovative artillery preparation; the combined arms assault or storm battalion; rejection of the linear advance in favor of bypassing enemy centers of resistance; and attacks to disorganize the enemy rear area. The key was artillery. 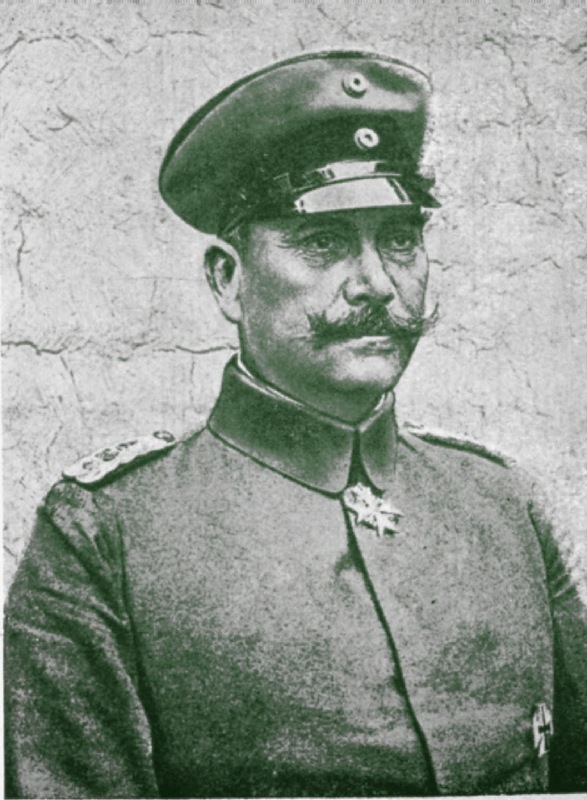 Col. Georg Bruchmüller, an obscure officer retired for nervous problems in 1913 but recalled to duty for the war, developed German artillery techniques to a fine art by the time of the Spring Offensives of 1918. 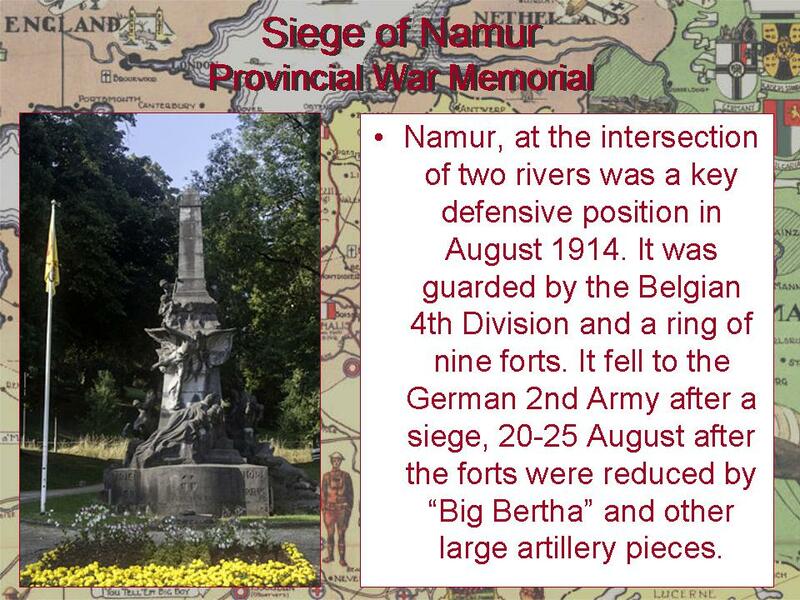 The essence of the Bruchmüller artillery preparation was a carefully orchestrated, short but intense bombardment designed to isolate, demoralize, and disorganize enemy defenders. Georg Bruchmüller avoided area targets, concentrating on such key points as artillery observation posts, command posts, radio and telephone centers, rearward troop concentrations, bridges, and major approach routes. He carefully pinpointed all these targets on aerial photographs. The result was to knock out enemy communications and isolate forward units. The effect was increased by surprise. At the start of the German offensive on 21 March 1918, Bruchmüller began his bombardment with ten minutes of gas shells to force the British to mask, followed by four hours and 25 minutes of mixed gas and high explosives. The preparatory fires shifted back and forth, so that the British did not know when the artillery was actually lifting for the infantry advance. Meanwhile, automatic rifle teams moved as close as possible to the British positions during the bombardment. When the Germans did advance, they moved behind a rolling barrage, further enhanced by intense fog. The combination of surprise, brevity, intensity, and carefully selected targets was unique. 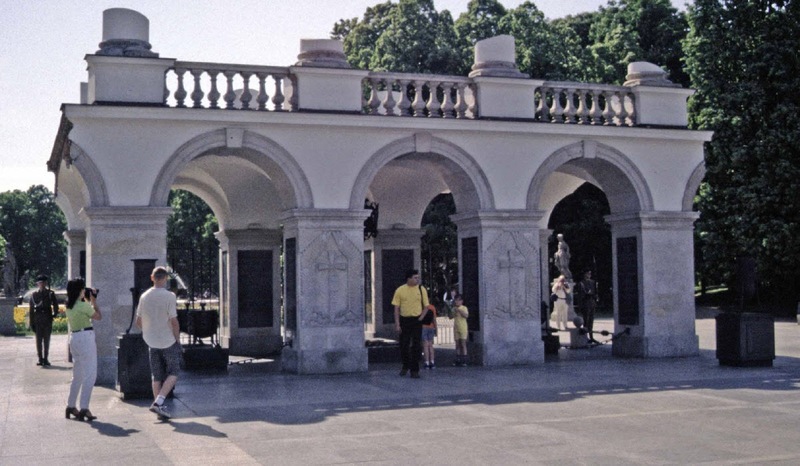 The establishing of the tomb under the arcades of the Saski (Saxon) Palace was initiated by the Minister of Military Affairs General Wladyslaw Sikorski, the mausoleum project by Stanislaw Ostrowski, the sculptor. 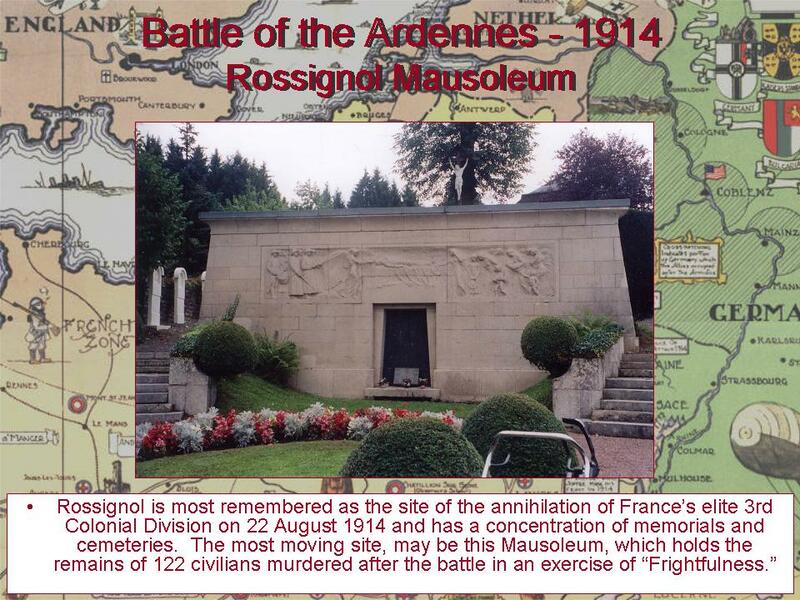 Fifteen battlefields were selected by the military historical office as possible sites for acquiring the remains of the Unknown Soldier. On 4 April 1925 the site of the Battle of Lwów, which took place in 1918-1919 in the Polish-Ukrainian War, was selected. On 2 November 1925 it was placed in the mausoleum at the Saski Palace. 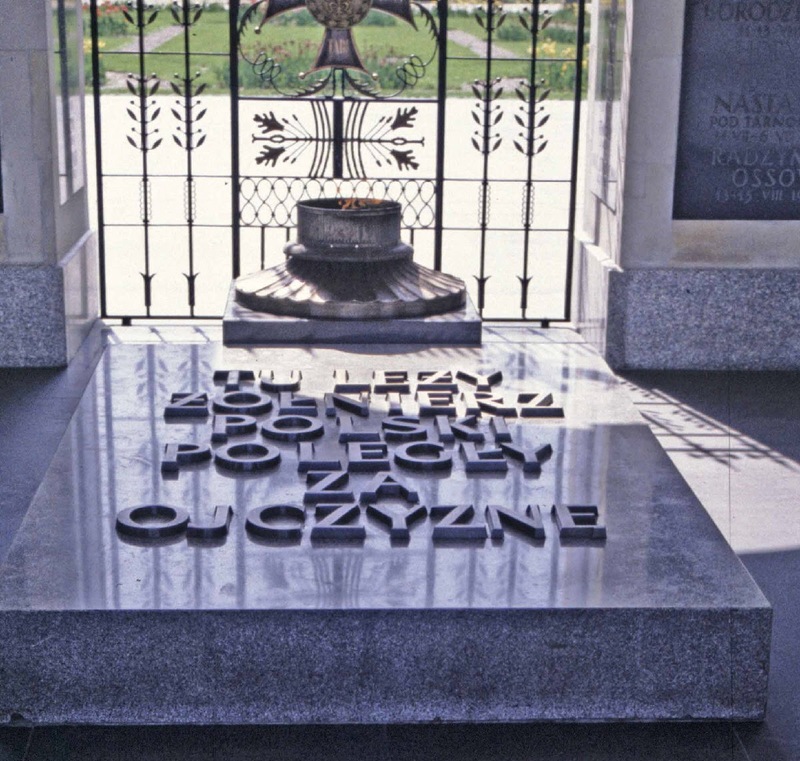 Fourteen urns containing earth from the other 14 Polish battlefields were placed around the covering for the coffin. The places and dates of the battles were commemorated on four plates fastened to the pillars. After the German occupation and Warsaw uprising of 1944 only the arcades of the Saski Palace survived. A post-1945 restoration was made in accordance with the original plan. 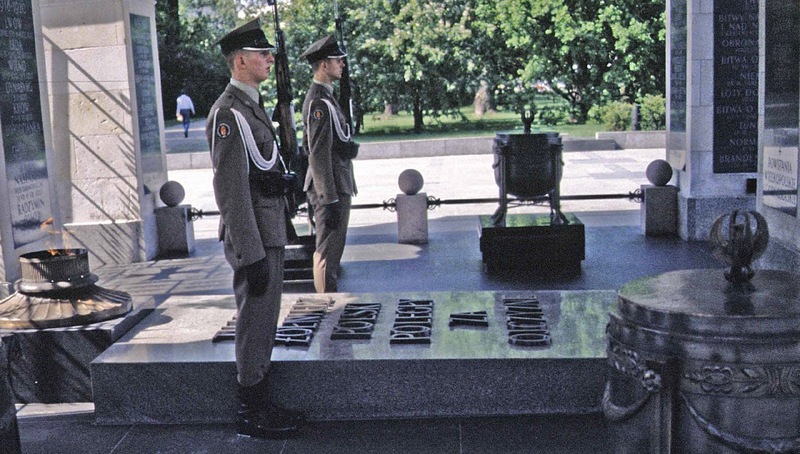 During the postwar era the Tomb of the Unknown Soldier was the place where Polish aspirations for independence and freedom manifested. When Poland regained complete independence in 1990, the original architecture of the mausoleum's interior was restored. 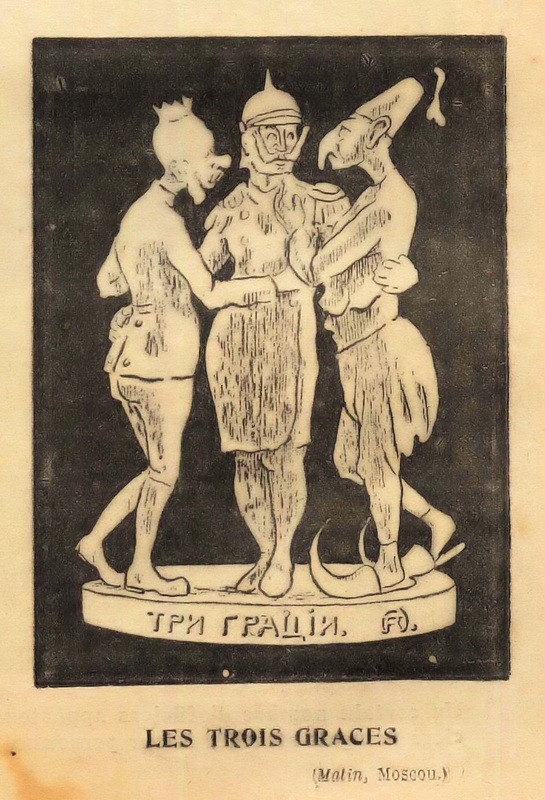 The four original plates were reproduced with 14 new plates added listing sites of martyrdom and the most important battles fought by the Polish Army over the centuries. 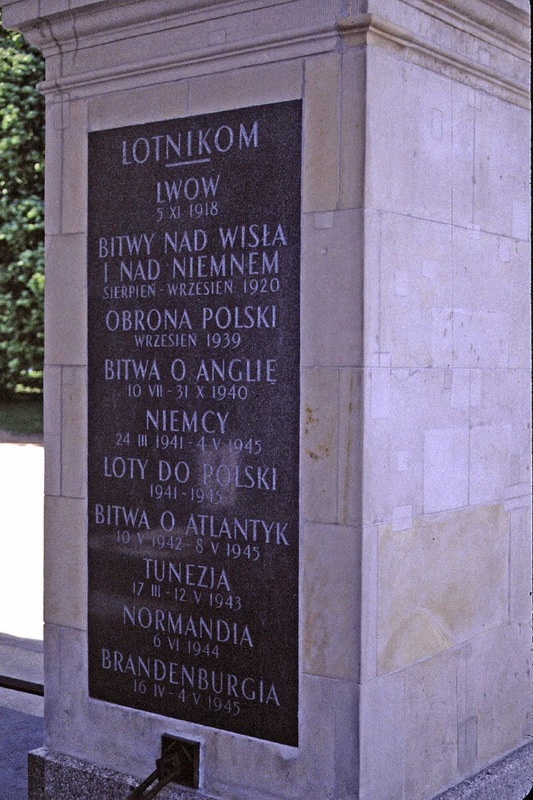 The dedication of the restored memorial took place on 3 May 1991. 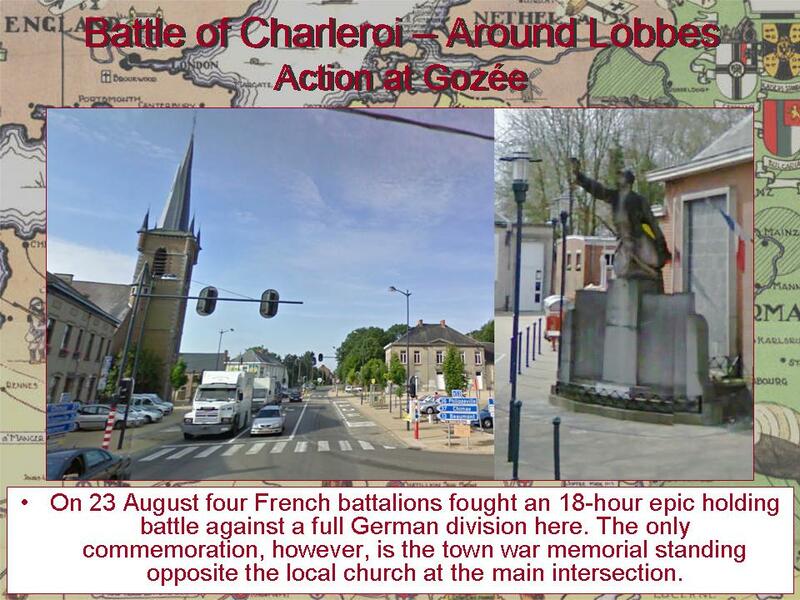 About 5 miles southwest of the Belgian city of Charleroi, on the north bank of the River Sambre, lies the village of Lobbes. 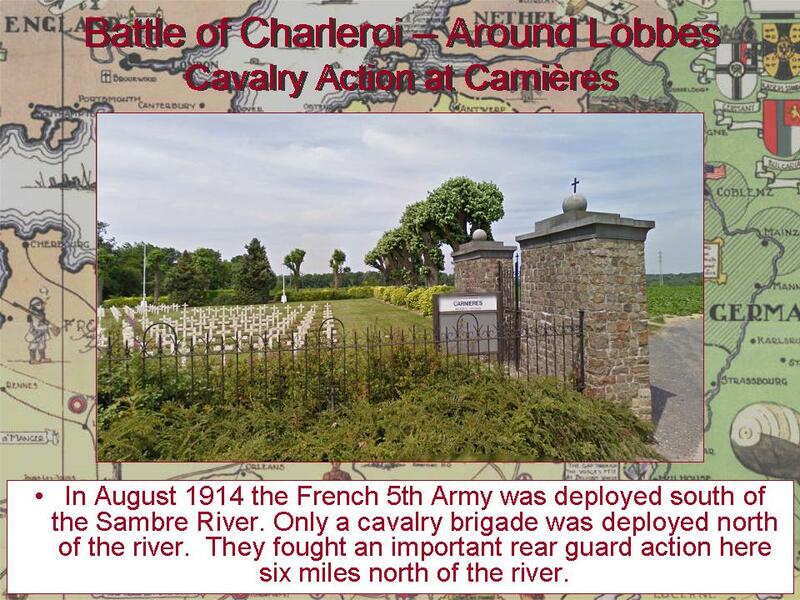 For three days in August 1914 actions were fought in its vicinity that — because of the stalwart defensive efforts of smaller French units — prevented advancing German forces from flanking the French Army's deployments in the west, potentially compromising their strategic position fully. 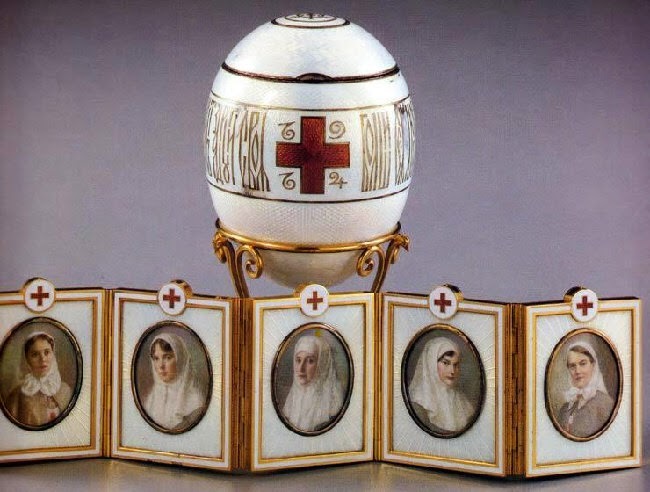 Designed to honor of the members of the Russian Imperial family serving as nurses during the war: Nicholas's sister Olga, his daughter Olga, the Empress, his daughter Tatiana, and his first cousin Maria. The fold-up album was sized to fit within the egg. 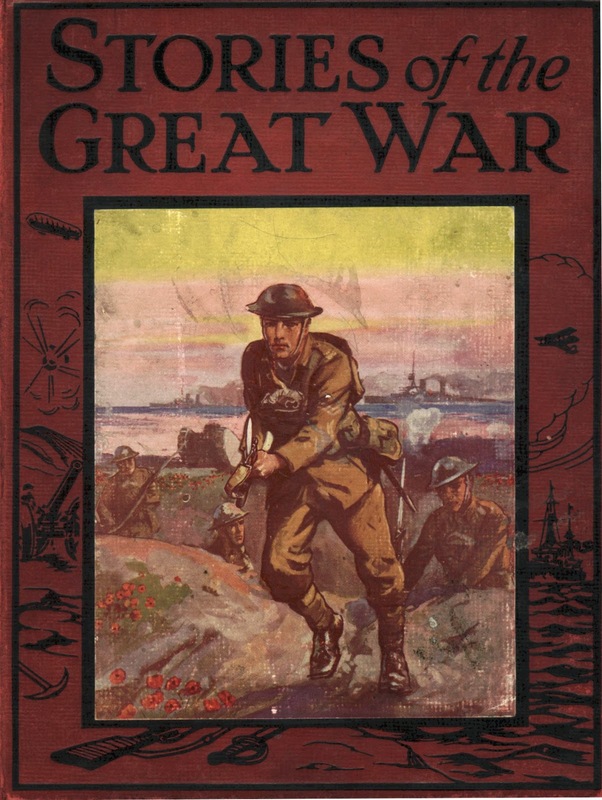 The Origins of "Great War"
(b) the war which began on 28 July 1914 with hostilities between Austria-Hungary and Serbia, and ultimately involved the majority of the nations of the world; it was suspended by armistice 11 Nov. 1918. "Some wars name themselves — the Crimean War, the Civil War, the Franco-Prussian War, the Thirty Years' War, the Revolutionary War, and many others. This is the Great War. It names itself." 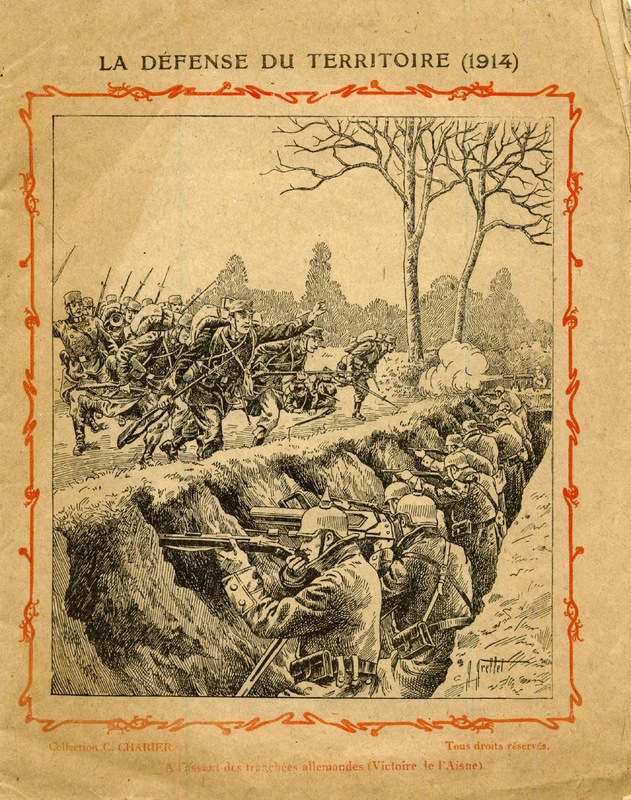 Under Fire is a story of a French soldier's (or poilu's, meaning "hairy one") involvement in the first two years of the Great War. Although it is a novel, the author spoke from a position of having been there, hearing about, and living life among the ranks. 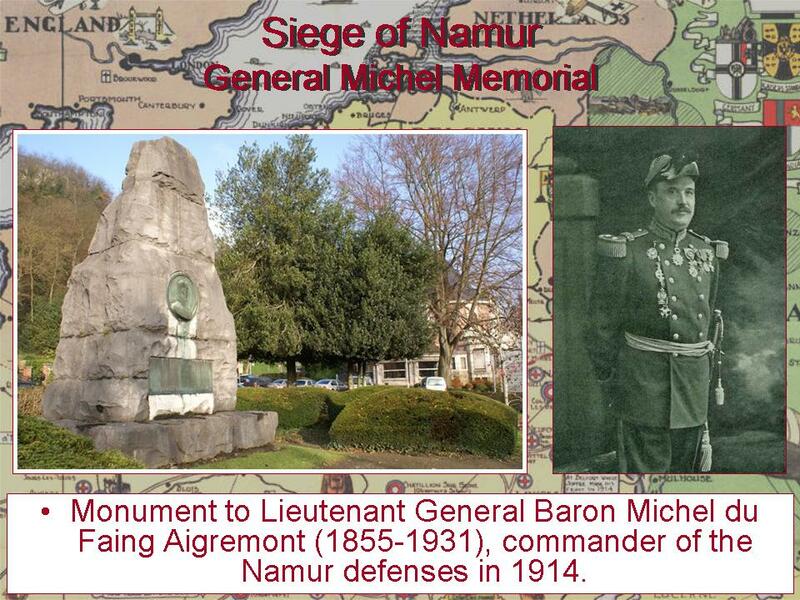 Barbusse volunteered for service in 1914 at the advanced age of 41. 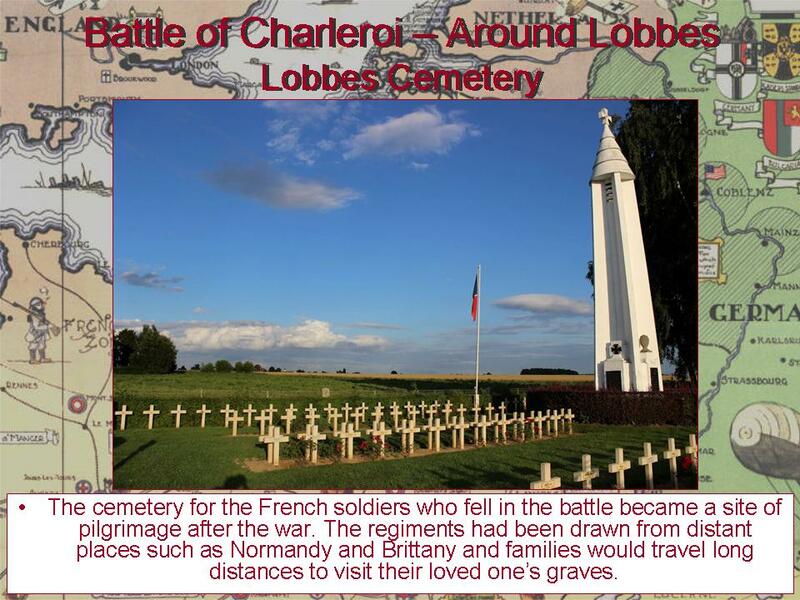 He saw combat with the 231st Infantry Regiment as a soldier and a stretcher bearer at Soissons and Artois before being invalided out in late 1915 because of a lung condition, dysentery, and exhaustion. During that service he was cited for bravery twice. But a reader should not expect to read here about the heroic military feats that poilus rendered in the face of the enemy. Au contraire. 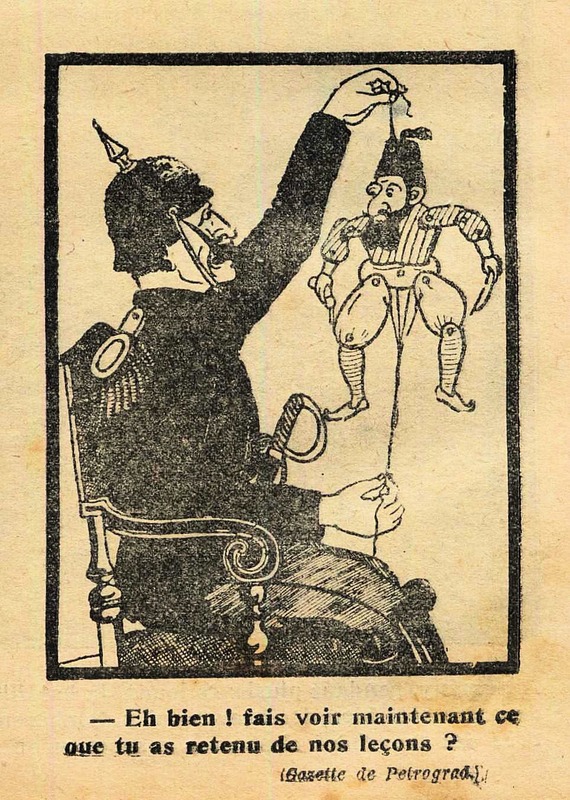 Barbusse noticed upon his return to the rear areas in 1916 that accounts of the war had taken on a romantic, fictional guise to encourage the ranks and incite the people to greater things. Barbusse saw that the real poilu and the conditions under which he fought were being lost in favor of a sanitized approach. Even the language that the poilu used was being ignored for more formal speech. As a consequence he decided to write a book that would lay the truth out as succinctly as possible in the vernacular of the trenches. 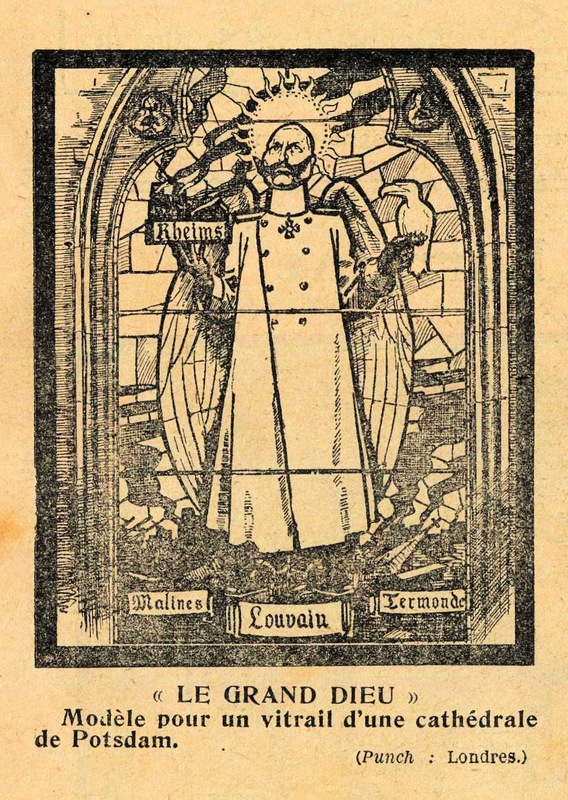 Naturally, 1916 censorship would not let him publish such an account in a book, but the author found a way around the censors by serializing the book in L'Oeuvre, a monthly literary review magazine. 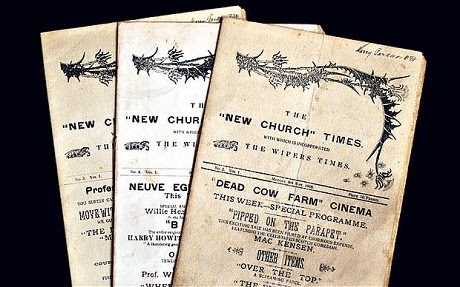 The serials were finally brought together in 1917, the year when war-weariness was reached and people were looking for the truth, and then published as a book. Its reception was phenomenal—even being read by the poilus at the front. There was criticism also. The purists saw Under Fire as fiction at its best without any relation to reality. They noted that many of the vignettes that the author talked about were in fact rumors that circulated freely along the front; in other words, old war stories that had been circulating since time immemorial. One such story is about the beautiful Eudoxie who appears from time to time "like a silhouette at the edge of the forest." She is slim, has blonde unbound hair, and huge dark eyes. 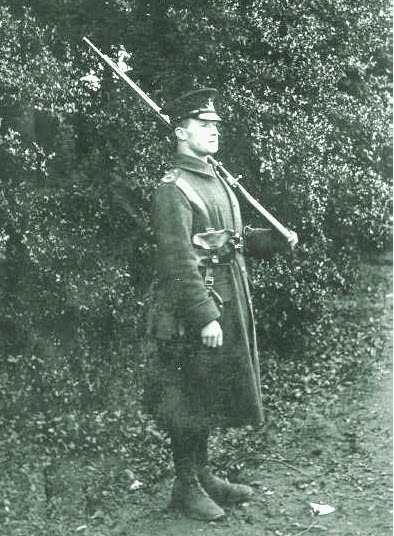 Rumors have it that she is not quite right in the head but in love with one of the men in Barbusse's regiment. As a consequence of this love, she follows the regiment wherever it goes, even into the front lines darting about as if borne by the wind. Eudoxie appears numerous times in the narrative under different circumstances. There are many who lust after her but never catch her. The great pale sky is filled with claps of thunder. Each explosion reveals at once, falling out of a reddish flash, a column of fire in what is left of the night and a column of smoke in the already dawning day. . . Up there, on high, far away, a flight of fearsome birds, panting powerfully and with broken breath, which can be heard but not seen. . . The Breguet 14 was noteworthy as the first aircraft in mass production to use large amounts of metal —rather than wood—in its structure, allowing the airframe to be lighter than a wooden airframe of the same strength, in turn making the aircraft very fast and agile and able to outrun many fighters of the day. It would see its most notable use as a bomber through the end of the war. The SPAD VII single-seat fighter was introduced and eventually equips squadrons of eleven nations. 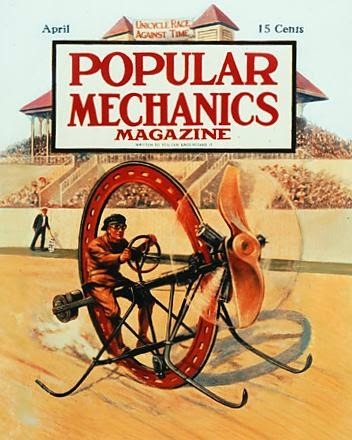 It was renowned as a sturdy and rugged aircraft with good climbing and diving characteristics. It also had a stable gun platform. It had a maximum speed of 119 miles per hour with a range of 225 miles armed with a single Vickers .303 machine gun and a service ceiling of 2,000 meters (6,560 feet), which it could reach in 4.5 minutes. Some of the aces who flew it were Georges Guynemer (France), Francesco Baracca (Italy), and Alexander Pentland (Australia). This is an immediate postwar illustration taken from a French writing tablet for use in primary schools. 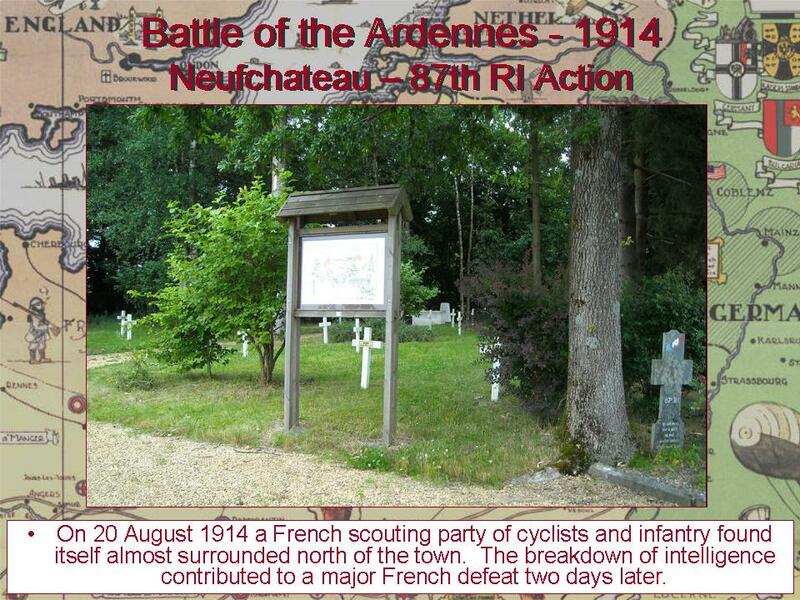 It shows an attack by French infantry on German trenches along the Aisne, just after the French victory on the Marne. Putting such patriotic war scenes on French and Belgian schoolbooks was not at all that uncommon a way to remind schoolchildren of the recent conflict that had caused so much death and destruction of their countries. Apparently someone or other is spreading the rumor that I won't stay in exile till the end of my sentence. Rubbish! I inform you and swear like a dog I'll remain in exile till the end of my sentence. The idea came into my head to take my husband's place, to go myself to demand satisfaction from the editor in chief of Le Figaro. I do not know how much longer we shall be able to follow our present policy of dancing on a high rope and not be compelled to take up some definite line or other. I am also haunted by the same fear as you — lest Russia becom tired of us and strike a bargain with Germany. Suffragette Miss Kitty Marion, who was rearrested early in January under the "Cat and Mouse Act," was released from Holloway [Gaol] yesterday. . . having lost 2 stone 8 lb in weight. She had been forcibly fed 232 times. . .She states that so great did the repeated physical and mental agony become that she felt she have to put and end to it by hanging herself. On one occaision she broke the glass protecting the gaslight and set the bedclothes on fire. Miss Marion is now in a nursing home. [An] ascetic figure whose voice and agitated gestures exercised a fatal and seductive fascination over the delegates at the meeting. 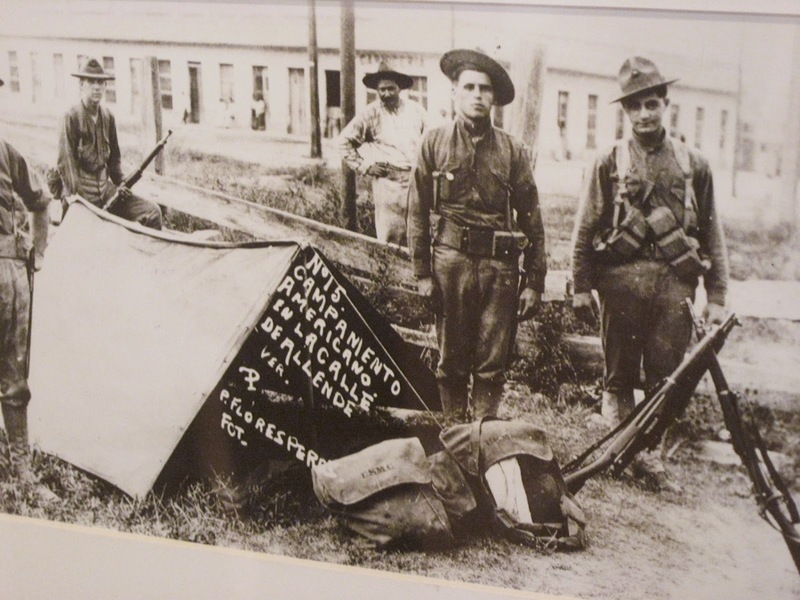 Resolved by the Senate and House of Representatives in Congress assembled, that the President of the United States of America is justified in the employment of armed force of the United States to enforce the demands made upon Victoriano Huerta for unequivocal amends to the Government of the United States for affronts and indignities committed against the Government by Gen. Huerta and his representatives. The excitement is great, the excavations have unearthed very important things that are of great interest to the archaeologists. . .Yesterday we had a great treat — 180 young Greek ladies had come over in a special steamer and in the afternoon danced old national dances in costumes, that came from all parts of Greece and were quite unique. The effect of all the different colours under the olive trees in the sunlight were simply magical. . . It was all like a fairy tale or a dream. 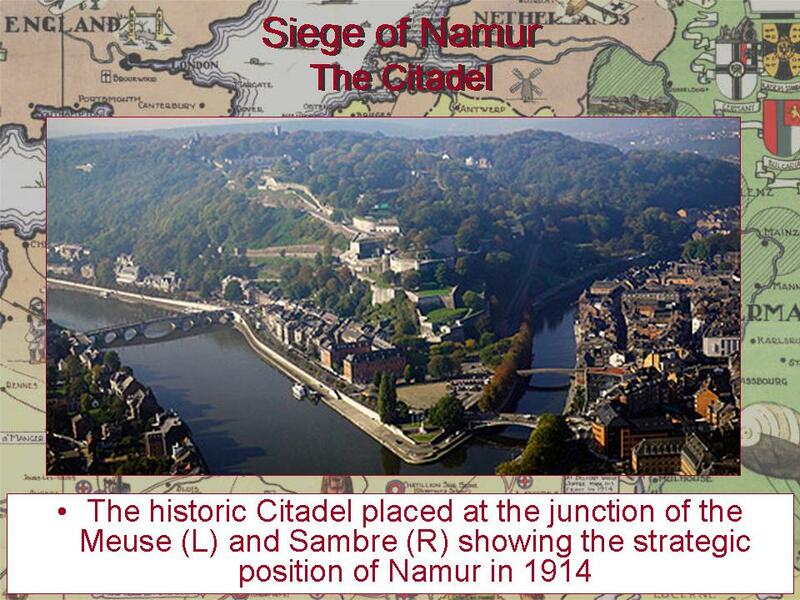 Note: We had to reschedule our feature on the Battle of the Sambre for next week. Please Take a Second Look!